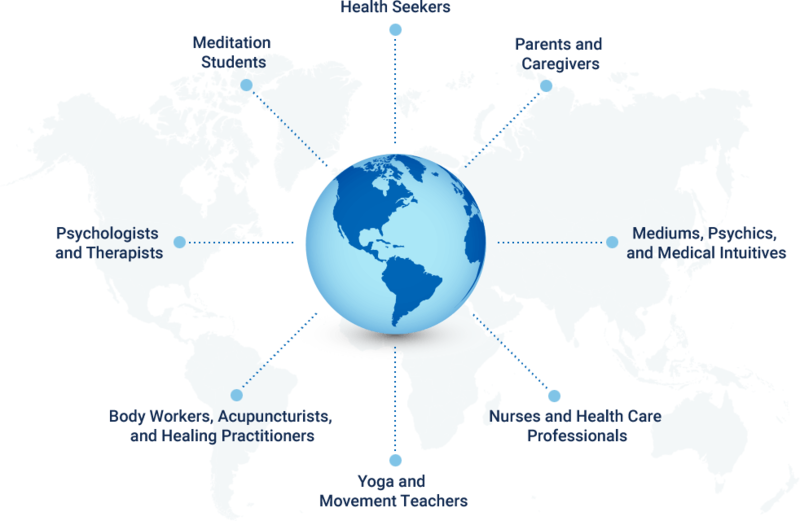 Welcome to The Science of Medical Intuition training program. Do you ever stop to consider what your intention is telling you about your health in any moment? Have you ever wanted a deeper sense of the influences within you that create your physical and spiritual well-being? This program represents both the foundation for personal insight—a toolbox for your own daily health evaluation—and the basis for understanding people and the world we share at the highest possible level. Medical intuition is not a gift. Through this course, you will begin to discover the foundations of your intuitive skill and learn to cooperate with (instead of resist) your intuitive feedback mechanism. You will also develop an intuitive rapport not just with your body, but with your entire life as you work with archetypes, imagery, and symbols—the language of the psyche. The truth is all great physicians, all great diagnosticians, and all great psychotherapists are highly intuitive. We are pleased to offer you this course and look forward to working with you as you develop your own intuitive power. As you will soon see, intuition is an innate capability, specific for each individual, which serves as a guide, counselor, and informer. It is an abstract quality of mind programmed from a higher level of consciousness. It is a segment of a universal mind from which all knowing and physical manifestations are derived. Each and all of our bodily cells and systems respond to this direction with intelligence. Just as in developing any skill, daily practice and training are needed to work with this intelligence and master the tools of medical intuition. We invite you to come with us on this powerful inner exploration and training! P.S. The Science of Medical Intuition training program comes with a 100% guarantee because we believe so much in its power to transform your health and life. Try it risk-free. Learn this divine gift you were born with and its relationship to your physical, mental, and spiritual health. Learn to use the power of your nervous system and imagery to heal your body. Learn why, when, and how you must surrender to the Divine to catalyze your powerful intuition. The four symptoms of energy blockages and how to clear them from your system on all dimensions. How your spirit picks up energies from others—and what to do about it to stay safe and grounded. Learn the secrets to converting the “lead” of physical life into the “gold” of pure wisdom. The function of the seven chakras and the sensations associated with reading them. How to heal for good your “unfinished business” of anger, guilt, and depression. Why medical intuition is your key form of intuition, and how its component emotions work together. In the days of the ancient Greeks, there was an organized system of oracles that were looked to for hidden insights and guidance. Within many indigenous cultures, the role of shaman or medicine man or woman was highly revered for its intuitive ability. Today, you can cultivate these same skills by learning to feel and trust your innate intelligence. This often requires special training and exercises, but the results are undeniable. More than 25 years ago, a Harvard-trained neurosurgeon and researcher named Norman Shealy was introduced to a young woman with a special gift: she could “see” illness in other people with only her intuition to guide her. After extensive testing, Dr. Shealy concluded that her ability to diagnose illness—even from remote distances—was 93% accurate. 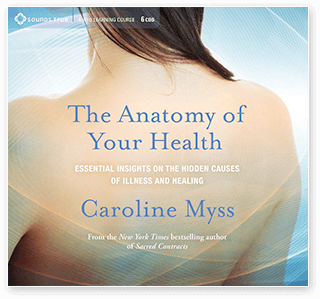 Today that “medical intuitive”—Caroline Myss—is a legend in the field of intuition and energy healing, with five New York Times bestsellers to her credit. These two pioneering voices have joined together again in a revolutionary self-care curriculum: The Science of Medical Intuition. First presented by Myss and Shealy at a series of influential workshops, The Science of Medical Intuition is designed to help you take control of your total health through intuitive self-diagnosis and healing techniques. The Science of Medical Intuition presents a revolutionary full toolbox of self-diagnostic practices, visualizations, and healing insights taught by Myss and Shealy in their own words. Myss . . . uses humor and common sense while offering concrete advice for improved health as well as spiritual and physical recovery. 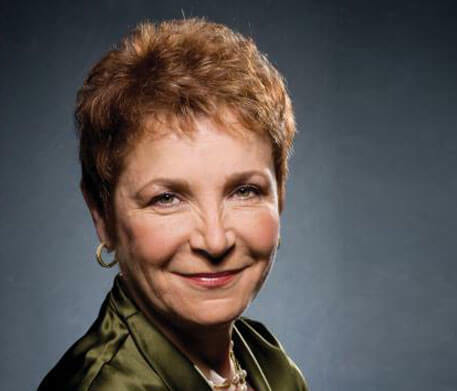 Caroline Myss is a five-time New York Times bestselling author and internationally renowned speaker in the fields of human consciousness, spirituality and mysticism, health, energy medicine, and the science of medical intuition. Her bestselling books and audio programs include Anatomy of the Spirit, Why People Don’t Heal and How They Can, Sacred Contracts, and Energy Anatomy. 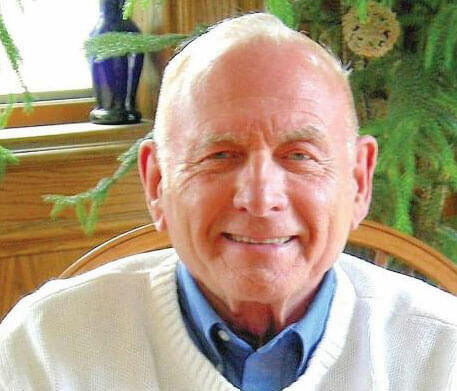 Norm Shealy, MD, was founding president in 1978 of the American Holistic Medical Association, and in 2000 the founder of Holos University Graduate Seminary. He is currently president of Holos, which is dedicated to education in the field of energy medicine. Dr. Shealy’s published works total more than 285 and include 90 Days to Stress-Free Living and Life Beyond 100. Caroline and Norm believe the most effective way to introduce people to their intuitive gifts is through personal instruction. That's why they've created The Science of Medical Intuition online course. Each module will take you step by step through one of the most comprehensive trainings ever developed to help you access and turn on your intuitive abilities. Best course ever! I absolutely love this course. Caroline Myss and Norm Shealy have put into words things that I have been at a loss for for many years. I've listened to the lessons several times and have no intention of stopping yet . . . It is interesting, rich, and complete! Technology and culture have dramatically changed our world—yet we don’t realize how these external forces have triggered equally profound changes in our personal health. With The Anatomy of Your Health, this pioneering teacher presents a bold vision of wellness that empowers us to thrive in the modern age. You will receive guided audio energy-evaluation meditations for use in the morning after waking up and in the evening before retiring. By bringing focused awareness to your body’s subtle energy system, you open the doorway to love, faith, and your deeper spiritual potential. An in-depth, 27-page study guide will be included. Caroline Myss and Dr. Norm Shealy taught a two-day live course on medical intuition. We professionally recorded the sessions and, as a member of this program, you will get direct access to the best videos from this event. Nothing is more ordinary than discovering how extraordinary you and your powers are. When you order today, you can take advantage of our special introductory offer for a limited time. Choose either one payment or pay in three installments below. 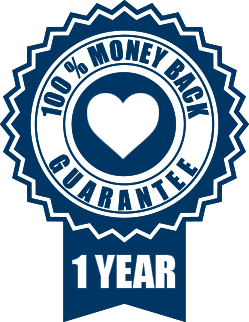 We unconditionally guarantee your satisfaction with all Sounds True products for one year when purchased via our website. However, if you are not 100% satisfied with The Science of Medical Intuition for any reason, simply return it with receipt for a full refund. 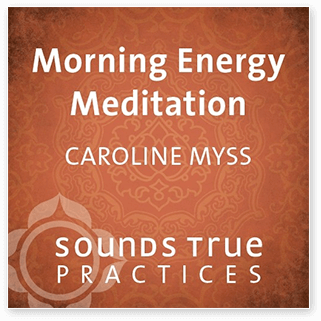 Caroline Myss is informative, exciting, and captures your heart, mind, and soul! I am a counselor and have used some of Caroline’s work in my practice. I now feel, after listening to the sessions, that I will be able to give my patients the information and the tools they need to heal themselves emotionally, physically, and spiritually. Thanks for the means and ways to enlighten my life. I love my Caroline Myss CDs and re-listen to them often. Truly tremendous improvements in my life. This is the most involved CD and workbook set from Caroline that I have ever had the pleasure of owning. It is a very detailed toolbox, and one that will provide hours of opportunity for self-reflection and awareness. 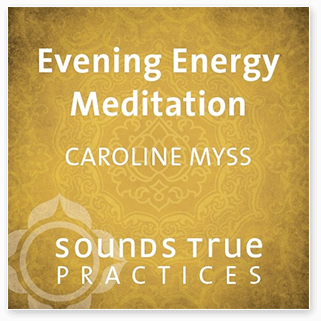 Last year I was opened to an entirely new way of viewing life by reading and listening to tapes by Caroline Myss, including Energy Anatomy and Sacred Contracts. Then this year The Science of Medical Intuition really opened my mind, heart, and spirit—changing my reality, relationships, creativity, health, and capacity for joy. Excellent information! Caroline and Norm lead students through insights into body, mind, and spirit. Great tools for living life to the fullest of our potentials. I highly recommend any source of study by Caroline Myss and Norm Shealy. The content of the course far surpasses what I expected. It's laid out well and easy to understand. Definitely worth the money. This is the best home-study course I have ever taken and I have invested in a lot of them. I have only gotten through four of the ten sessions and I have already received my ROI. This is exactly what I have been looking for and the combination of written exercises, audio, and video makes it easy to retain the extremely valuable information being given in this course. I can't say enough about how happy I am that I was spirit-guided to this course. Thank you Caroline and Norm for putting this together. Much love to you both. This program was full of a depth of rich information and a depth of knowledge shared by Caroline Myss and Norm Shealy. I truly enjoyed the mix of teaching modes—PDFs, audio, video, workbook, etc. I spent hours of listening and viewing the material. Once is not enough and I will be returning to this material over and over again.
. . . an enriching and rewarding self-teaching guide to extending personal awareness into scientific and metaphysical realms alike. The Science of Medical Intuition would make a welcome and highly prized addition to dedicated alternative medicine and metaphysical studies collections. I can’t afford this right now . . .
We have made this as affordable as possible by adding a three-month payment plan. Do I have the ability to learn medical intuition? After having trained over 10,000 students, we have found that just about everyone with training can learn to expand and use their intuition. Intuition is like a muscle, and the more you use it and activate it, the more sensitive you become. Can I use medical intuition on others? This course is designed to start you on your learning journey to work on yourself, NOT specifically on others, which requires more extensive and in-person training. © 2017 SoundsTrue. All Rights Reserved.